Sunday morning starts with a community breakfast at 8:30 am in the fellowship hall. 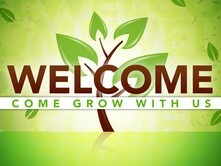 This is a great time to fellowship and visit before Sunday School and Worship services begin. Nursery available during Sunday School and Morning Worship. Children's Church (3 years - 2nd grade) dismisses from Morning Worship to the classroom after the Booster Band (children's song time). Sunday evenings at Wintergreen are informal yet engaging. There are also special classes for children and youth. No nursery on Sunday evening. Feel free to use the nursery facilities. There are no Evening services on 5th Sundays, Easter, Mother's Day, or Father's Day and Homecoming. On Wednesday evening, we gather together to study the Word of God and refresh our hearts in the middle of the week. All classes begin at 7:00 pm. Halftime (4th - 6th grade) - Upstairs SS Dept.